Hoooorayyyyy the day is finally here!!! 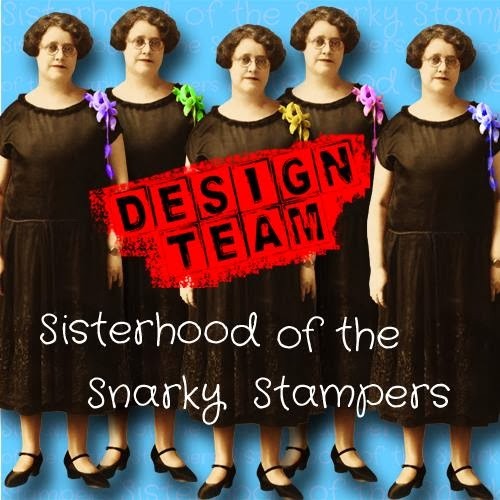 The first Sisterhood of Snarky Stampers challenge is on!!! Hope you'll come play along with us! 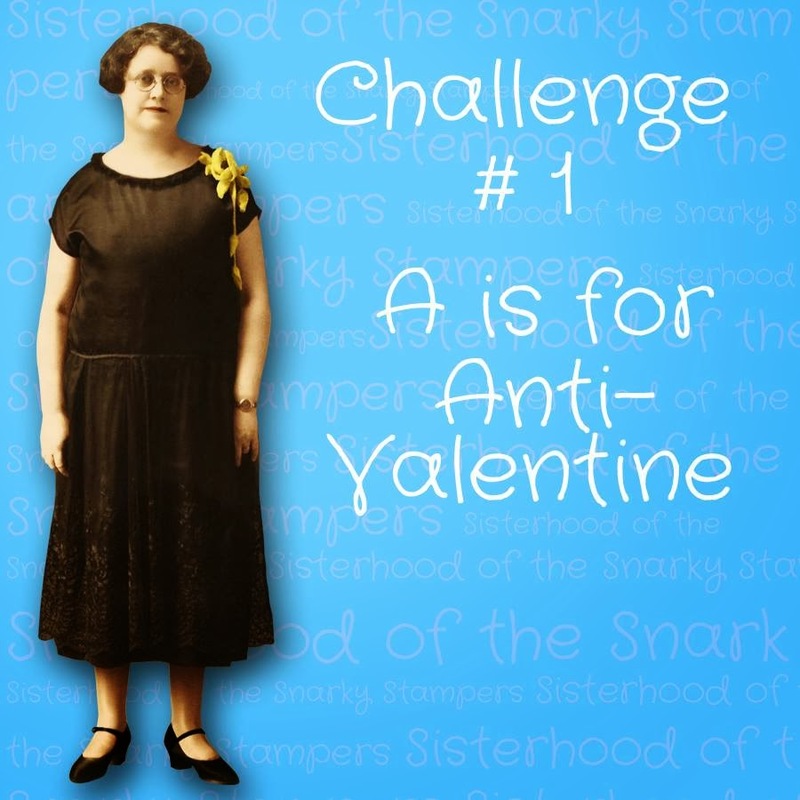 What kind of snarky sisters would we be if we didn't host an anti-valentine challenge?? 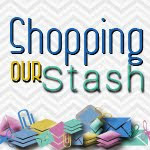 Visit the SoSS blog to check out all the snarky valentines that the design team created and be sure to visit their blogs as well and share the crafty (or snarky) love. I am probably one of the least "girly" sisters you will ever meet. I don't like chick flicks, I don't like flowers (they die) and all my peeps at work know the way to my heart is with tea, chocolate or cash (not necessarily in that order). When my lovely hubby says "I love you" I usually roll my eyes and respond with "yep" "whatever" "blah blah blah" or "bite me" but of course he knows those are terms of endearment. 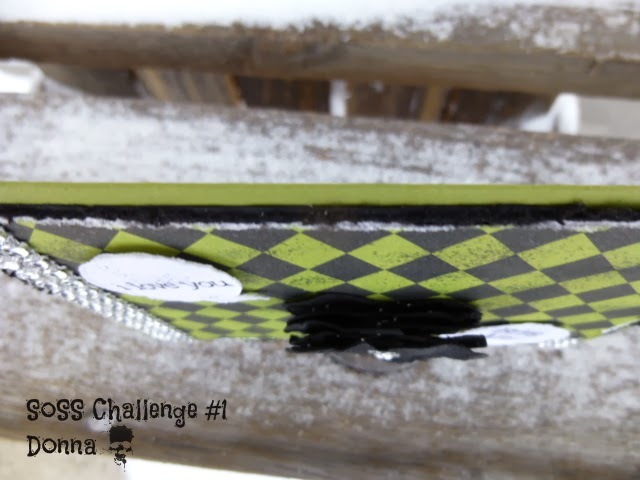 Join us at SoSS and play along with our very first challenge! 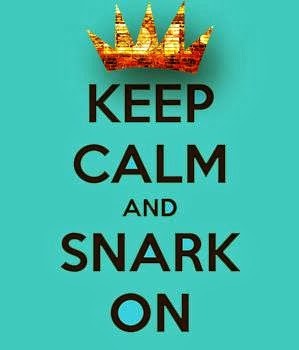 You have until 11:59 pm EST on Friday February 21 to upload your project...maybe you will be our first Queen of Snark!! Love it Donna, great story to back the card up too. Super job on the black heart. I have to figure out how to use those glitter sprays. True love understands, "bite me," as a legitimate response. You can't fool me! I love the colors you've used to accessorize your bigblackheart with! I too do not like getting flowers for the same reason! Your card is awesome-love the black heart with the green! You have your Snark on! 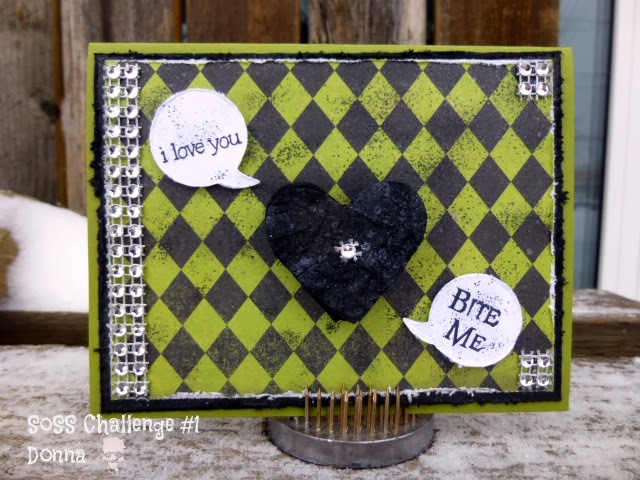 This is about as anti-Valentine-y as you can get: a black heart, distressed edges, and the sentiment: Bite Me!, is oh so perfect! Love your card and your back story, Donna! Cheers, Sistah! Hee Hee I think "bite me" is a romantic endearment for many couples...or as romantic as it gets. I love the card and the snark. I'm not a hearts, candy, flowers kind of girl either. More like stamps, cookies, and give me time alone...! Gorgeous BLACK heart, brilliant sentiment, perfect snark! You & me both! I love putting girly stuff on cards, and that's about it. Alcohol & cash are the way to go ;) LOVE those black hearts - so much awesome fun dimension! Very cool and it sounds totally like you. Are you giving it to him on Friday?